The amount of money you qualify for varies based on the down payment you will need to bring to closing (varies from 30-74%), which will be determined based on your age, or age of non-borrowing spouse, if applicable, current interest rates and the sales price (or appraised value, whichever is less) of the home you are buying. Unlike a traditional mortgage, which is usually a lump sum, there are a variety of ways you can use a reverse mortgage to fit your specific needs and wants. A reverse mortgage may increase your cash flow, preventing having to pull your assets from other sources to make mortgage payments that are no longer necessary. 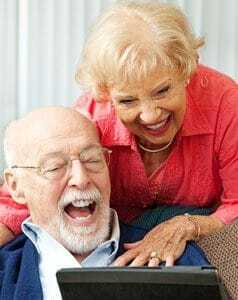 Anybody over the age of 62 and still making a mortgage payment needs to take a serious look at refinancing their mortgage into a reverse mortgage loan. If they take out a line of credit, they can allow for guaranteed increase in the credit line. The average time period is 4-6 weeks. No worries - we will never share or sell your information with anyone !